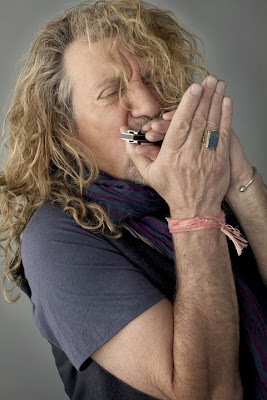 Robert Plant has launched a new 8-episode web series entitled “Zirka”, which documents his 2003 trip to perform in Mali and the Festival In The Desert. Rolling Stone reports the first episode follows Plant on his travels as he crosses the Malian terrain. He starts in the city, watching a raucous late night street dance. Then he crosses over into the countryside, stopping at what looks like a temple that has a shrine built from abandoned automatic rifles. Finally, he ends up deep in desert, sitting around a bonfire singing Ben E. King with African blues superstar Ali Farka Touré. "It was a journey of revelation — one of the most illuminating and humbling experiences of my life," explains Plant. "[The trip] took us from the scurry and bustle of our world into the homeland of the Tuareg, the Sahel of Mali, Timbuctoo, and north to Essakane. A journey that could only reinforce the power and the great gift of music across and between cultures. . . sharing outside of language." New episodes of “Zirka” will be released every Monday for the next 7 weeks.